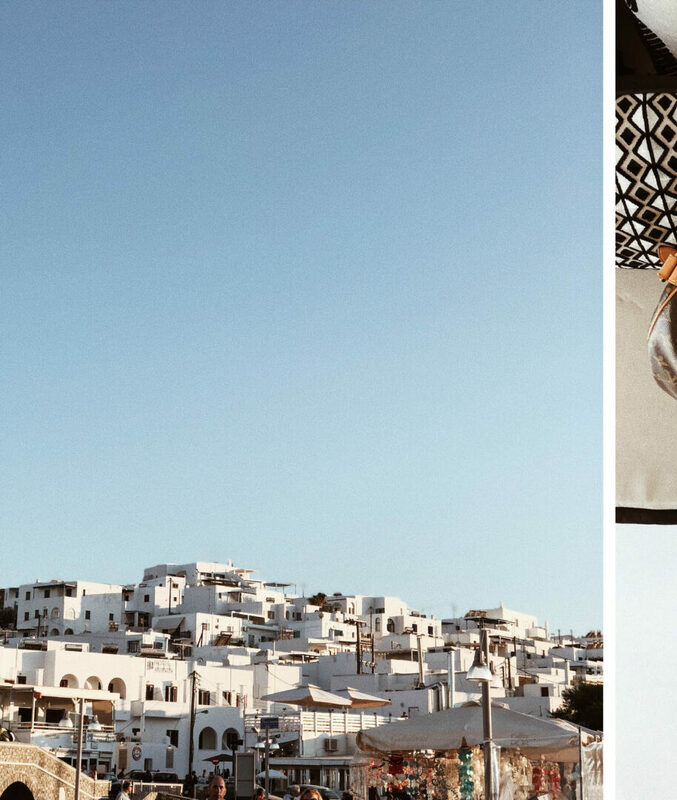 One of the up-and-comming Greek islands that has totally stolen our hearts is Paros! 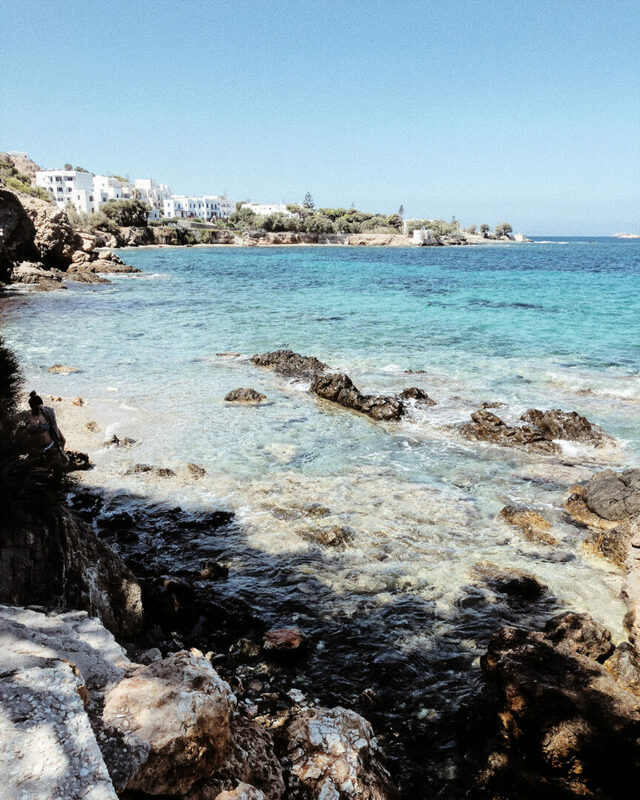 Located in the Aegean ocean and a part of the famous ‘Cyclades’ islands, Paros is located just to the west of Naxos. 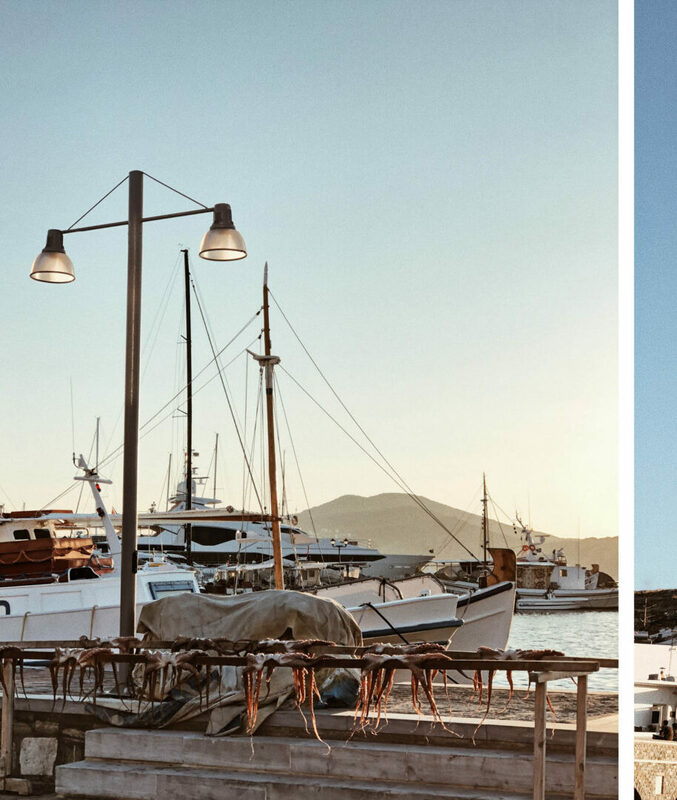 Two of the main areas of the island which are great for tourists and are the most populated are Paros Town (Parikia) and Naousa, which is located to the north-east side of the island. 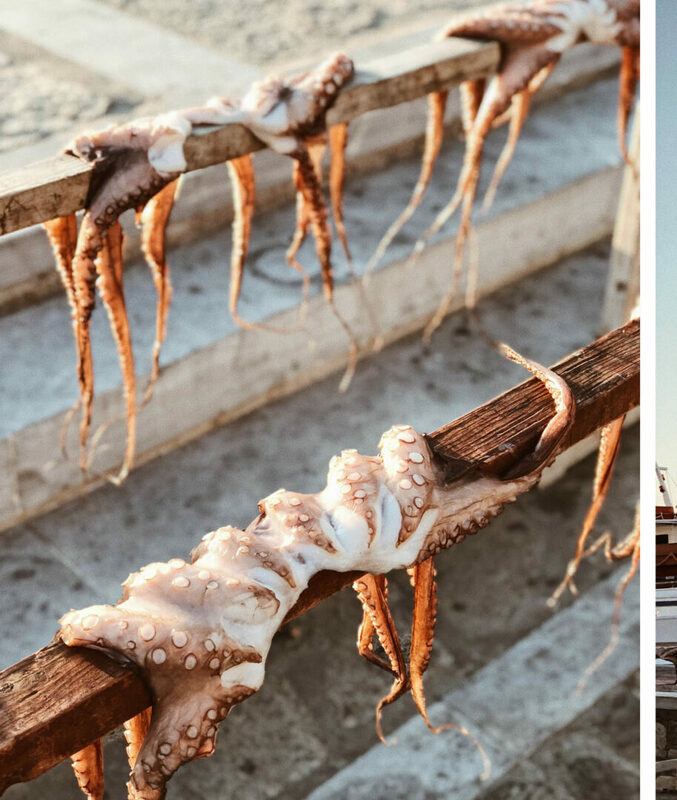 Now if you read our Greece Guide: Some of the best things to do in the Ionian Islands, you would have read us talk about how different the Ionian Islands are from the Aegean Islands (but more specifically, the Cyclades). 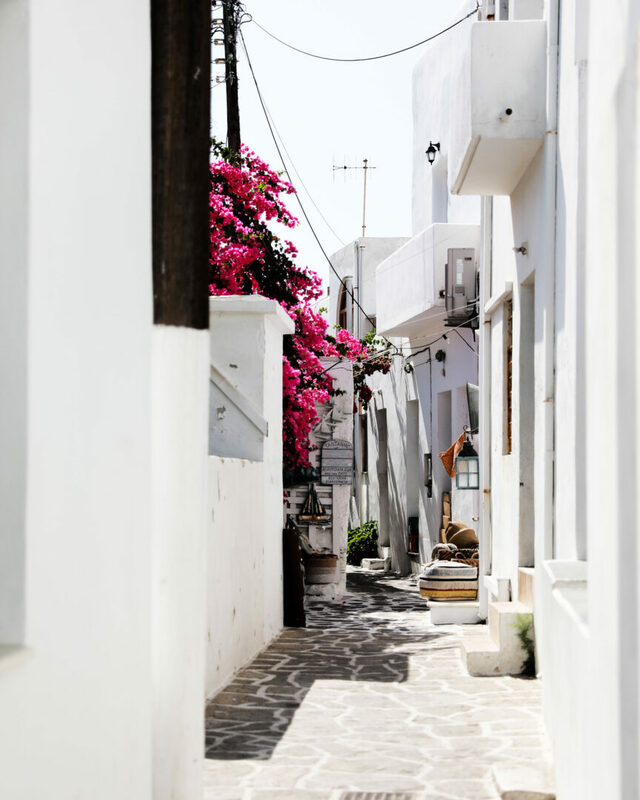 Paros is what you would typically expect from a Greek island; dry, arid, but cute with white buildings scattered over the hills. Let me tell you one thing though, that it’s super dry and hot! 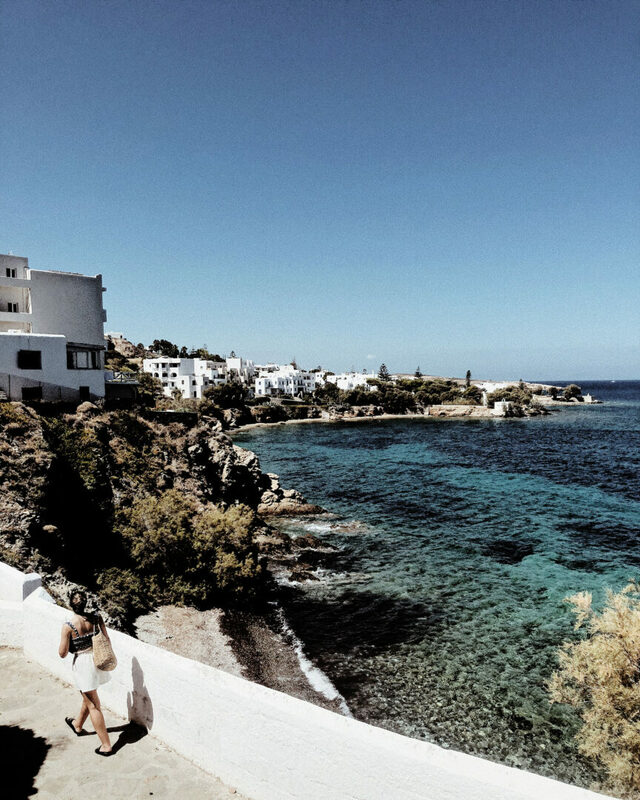 We struggled so much coming from the Ionian islands as there is so much more of a breeze and cooler temperature there, whereas Paros is stark heat with very little wind. Granted, we visited mid-July and the hottest part of the year, but damn! 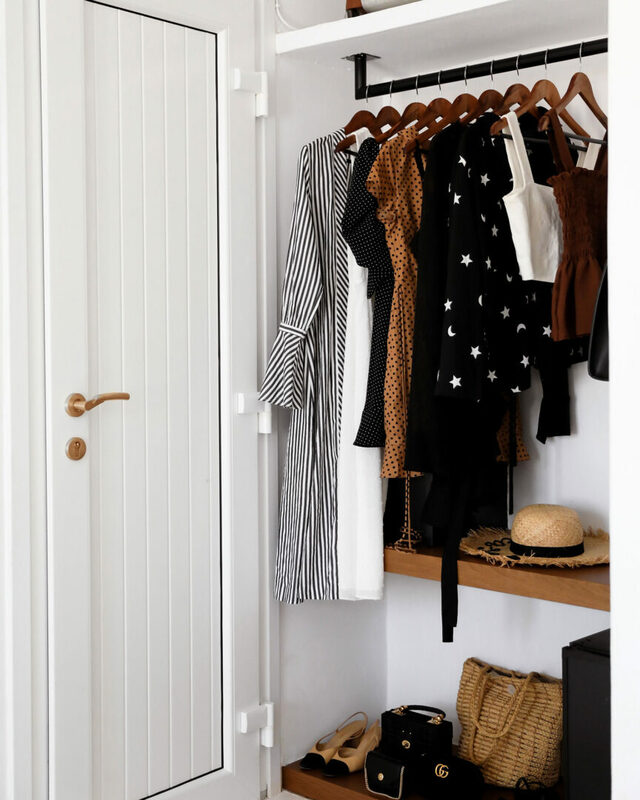 We would be walking down in the mid-morning from our suites to the main part of Naousa and be sweating up a storm. 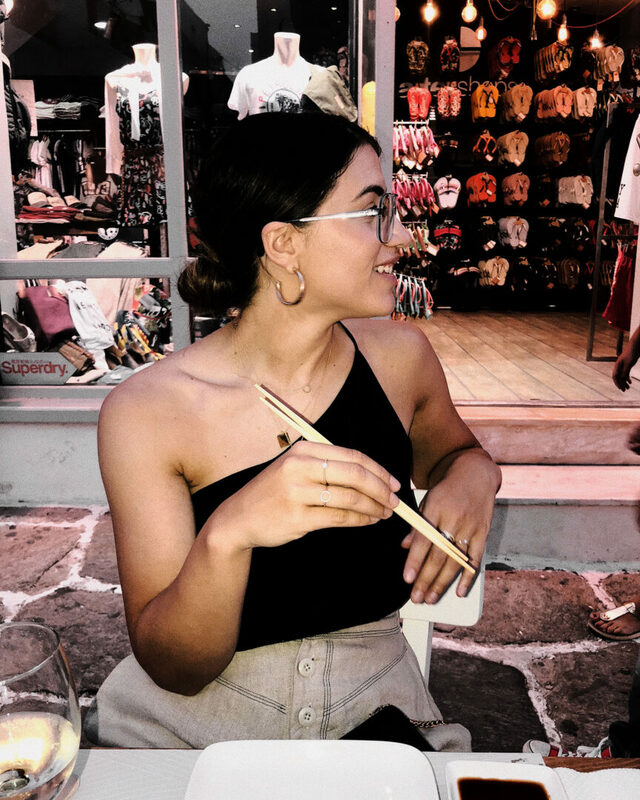 We stayed in Naousa, and would highly recommend if you’re after more of a young, fun environment with lots to do and explore everyday. We stayed for 6 nights at Villa Kelly Suites and it was one of the best places we have stayed in a long time (if not, ever). Not only where the staff utterly amazing, helpful and friendly but the location was so perfect and the facilities we’re beautiful! 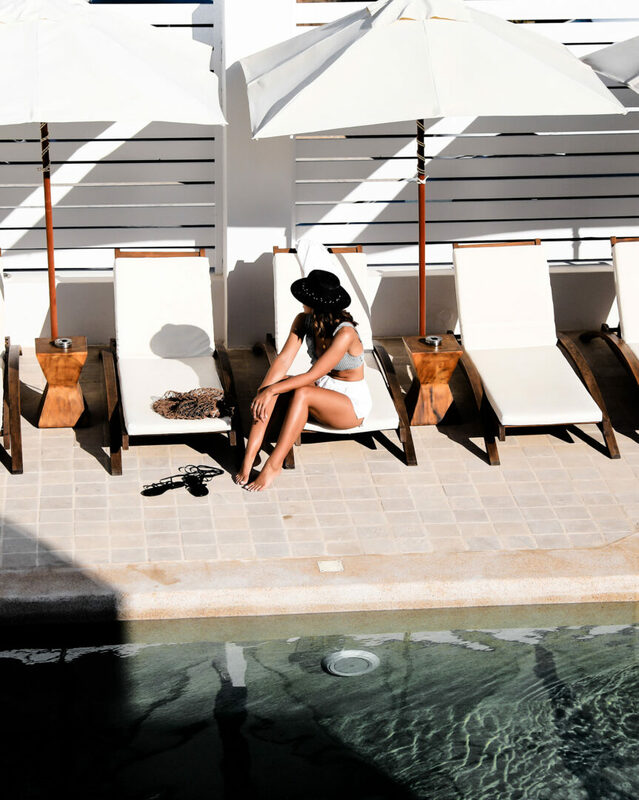 We’d highly suggest finding somewhere nice to stay with a great pool (which may cost a little more), just as we didn’t really love the Paros beaches for all-day tanning. Some were really pretty, but we’re more pool-gals! We travelled to Paros from Zakynthos (via plane) but the island is easily accessible by boat from the nearby island or Athens, but we will warn you that it’s around a 4hr boat ride from Pireous (the main port of Athens), so if you’d prefer a quicker journey you’re going to have to spend more for the flights. It is ALWAYS, always better to purchase your ferry tickets once you’re actually in Greece from a Travel store rather than online because you will most definitely get a better price deal or a quicker ferry than what is available online. As soon as we arrived in Paros, we went and bought our ferry tickets for our journey to our next stop, Milos (which were around €16 rather than €28+ online)! ONE: Sousouro Cafe & Bar for Aussie style breakfast and snacks. 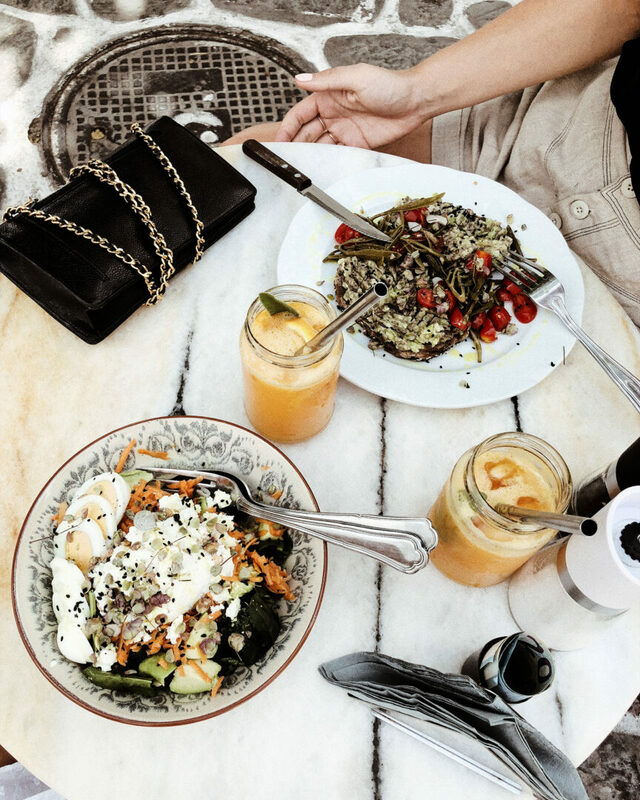 We only suggest this place because it’s got such an awesome vibe and the food just feels like home. It’s also great if you’re lacking the old-fibre/veggies combo as when you’re travelling in Greece you kind forget that you havn’t had lettuce or leafy greens in forever. They also double as a really cool bar in the evening and have delicious cocktails! 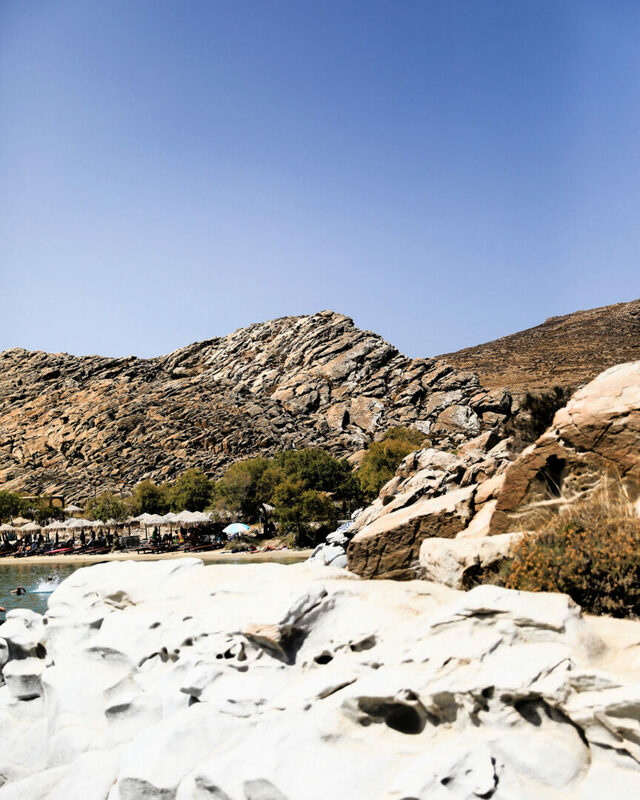 TWO: Kolibithres Beach is just a must if you’re travelling to Paros as it’s probably the best beach on the islands. Beach wise it’s actually a pretty flat beach with a sandy shore, but it’s the surrounding that give it all it’s drama (classic Greek). Nestled into big, brown rock-faces it’s really a stunning backdrop for this little beach. TIP: once you drive down there are two ‘organised beach’ areas, to the left has a narrower but deeper section of beach and to the right has a longer but thinner section. We stayed on the left but the right side did look a little better (bummer)! THREE: Naousa Town for your after-dark strolling. 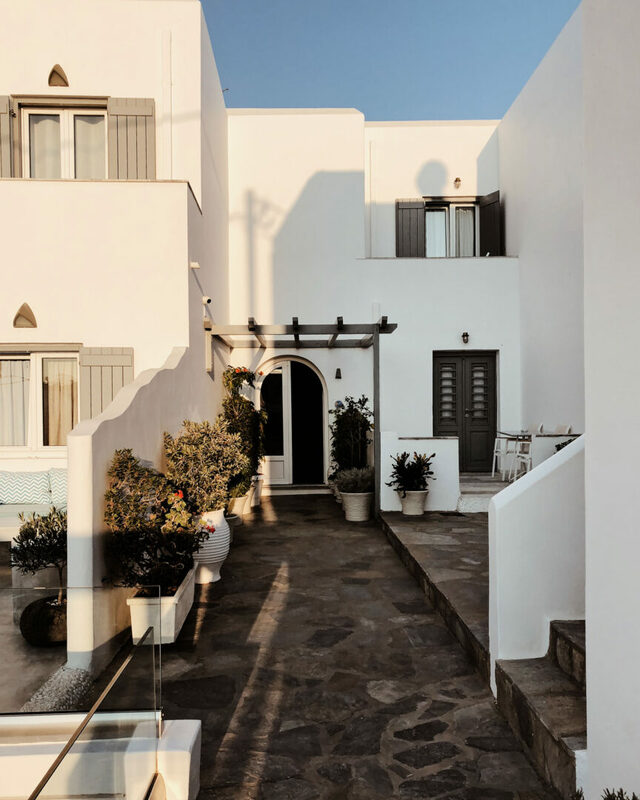 There are so many beautiful boutiques in meandering little streets through Naousa Town (as well as Paros main town, we just didn’t get to explore there as much), that it’s an absolute must to come down and visit at least one night of your stay in Paros. We went down every night as there was so much to see, and I’ll let you know that it doesn’t get old at all! You could go down those streets everyday and find a new spot to fall in love with (or place to take the perfect IG snap)! 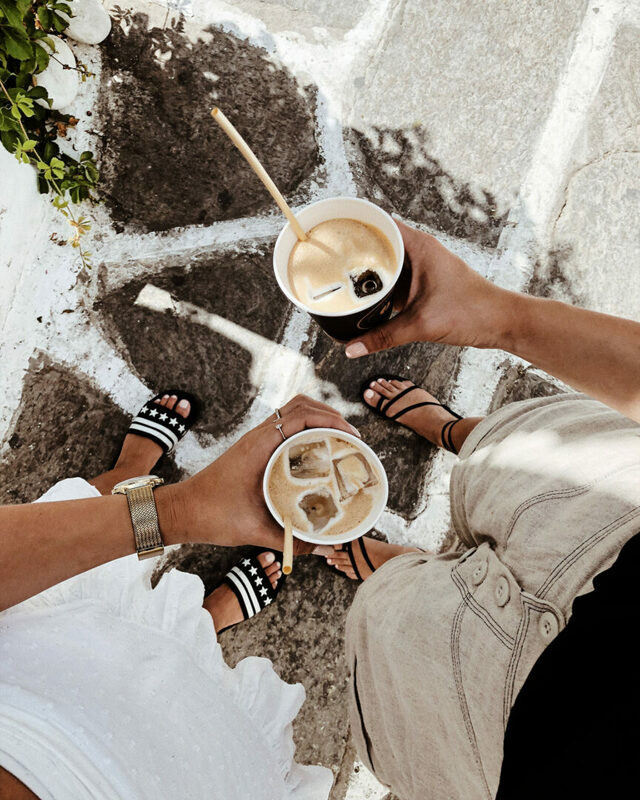 There are little tavernas mixed with jewellery stores, tourist shops and amazing linen boutiques all nestled in beautiful white housed streets and bright pink bougianvillia’s. There are also loads of bars in Naousa town and it’s absolutely buzzing anytime after 9pm through the streets! FOUR: Parikia Beach for an untouched and secluded piece of shore. Now, don’t hold us to the fact that the little beach we found in Parikia was actually Parikia beach, because we actually have no idea. We just saw a tiny piece of shore, and steep steps to get down so we gave it a crack! There was no one on the rocky beach with crystal clear, bright blue water and it was just a beautiful place to go chill-out for a bit and enjoy. 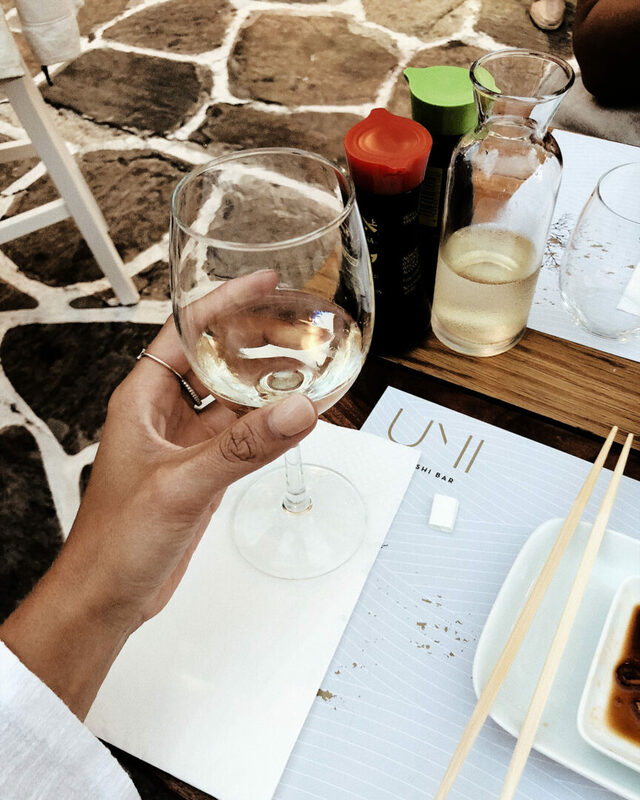 The whole beach is rocks, so best to wear rubber shoes or *those ugly rock shoes* we mentioned in our previous Greece Guide: Some of the best things to do in the Ionian Islands post. The best part of the beach itself was that if you turned right there was a beautiful little church built within the cliff-face! FIVE: White Paros Boutique for great jewellery and shoes! 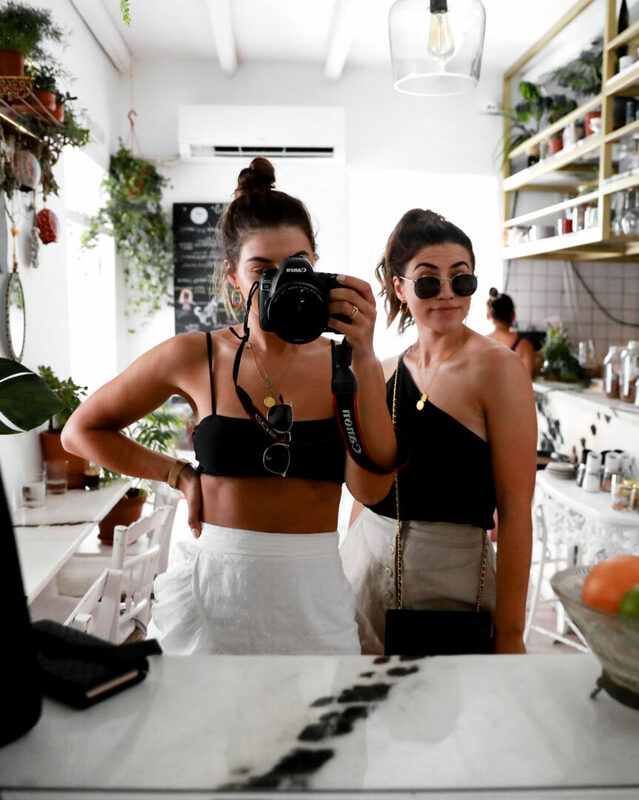 The store is located both in Paros town (Parikia), as well as Naousa and Bec and I did some serious damage there. The prices aren’t the cheapest, but the pieces are really great quality and there is so much variety you’ll be bound to find something that you love for yourself or for a gift! SIX: Sumi Sushi Bar, Naousa again, we didn’t really venture too far away from Naousa as it was walking distance for us and just the easiest spot to get to. One night we spotted this glorious dinner place and we just knew (being major sushi lovers) that we needed to eat here. Didn’t disappoint at all as all the sushi was made fresh and super yummy. Prices are very similar to what you’d expect to pay in Australia, but it was worth it if you’re getting over eating a Greek salad and meat wherever you go! 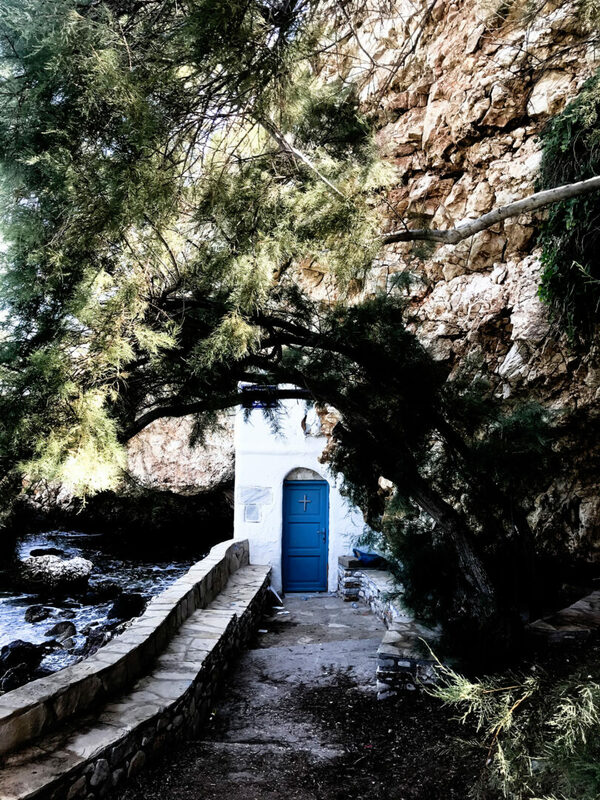 What are your favourite spots to go to in Paros? Let us know below, we’ll definitely be back!